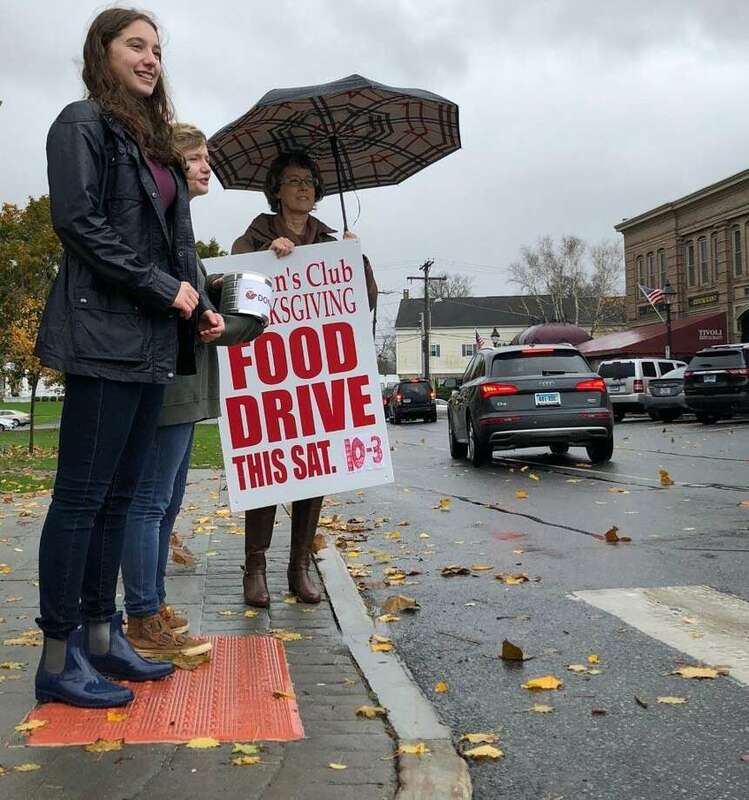 Volunteers, from left to right, Lilian Vito, Hanna Richard and Woman’s Club of Greater New Milford member Patty Murphy catch the eye of motorists making their way along Main Street during the recent annual “Stuff the Gazebo” event on the Village Green. The Woman’s Club of Greater New Milford and the United Way of Western Connecticut held its annual Stuff the Gazebo Nov. 3 at the bandstand on the Village Green. Each year the two organizations provide a complete Thanksgiving meal for more than 200 families in New Milford. Donations of non-perishable items were accepted. Volunteers from the club and several organizations in town helped collect the donations.